Rustic Picture Prints by Cheryl Jordan will add beauty to any room in your home. Simply order the print online, and during checkout you will be given a link to download the image without the watermark. You can then take the image on disk or data card to most photo stores and they can print it to any size print, ready for mounting and framing. *** IMPORTANT - You are buying a download only. You can take the download to most photo dealers (Or online at www.Zazzle.com) who can then process it into a large print for mounting, matting, and framing. 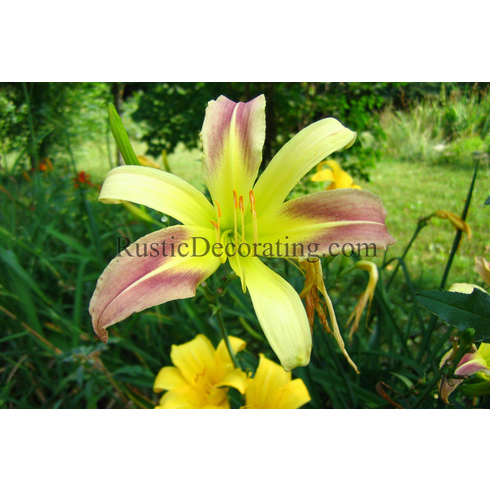 Your downloaded print will NOT have �RusticDecorating.com� (watermark) embossed as shown!